When you think of a traditional storage facility, the first thing you think of is the typical self storage firm. Mobile storage, a less hassle option has still much to do to catch up with the popularity of self storage facilities but it is doing well to establish itself in the industry. What mobile self storage firms do differently is that they will deliver the unit directly to you. This means that you only have to load your items in the container once, at your doorstep and then unload it once only, when you have the items delivered to you post-storage. After you have finished loading the unit, the company will take it from your driveway and put it in secure storage until you need it again. Obviously, this service is better than traditional storage for the customer since the storage units are delivered to your doorstep and you don’t have to carry your stuff to the facility and load and unload it several times. With mobile storage, going about arranging a self storage unit is very easy. You choose a size according to the volume of stuff you need to be stored; there are estimation tools available online or someone from the company can help you guess a size. Once you have done that, the company will have a portable storage unit delivered to the address you want. You can keep it there for as long as it takes you to load it, then when you are ready, call the company again and they will send a trailer to pick it up and take it to the storage space in their warehouse, where it will be stored securely for you. This will save you a lot of time, effort and money than when you had to hire trucks and trailers and move the stuff yourself out of your home and into the storage unit in one day. Going for mobile storage is also an economically wise decision, since you save a lot on extra transport costs. The drivers of the trailers that deliver and pick up the units are removals expert and can advise you on how to pack the unit efficiently so that all your things can fit in. They might occasionally even help you get that one or two bulky items in the container. 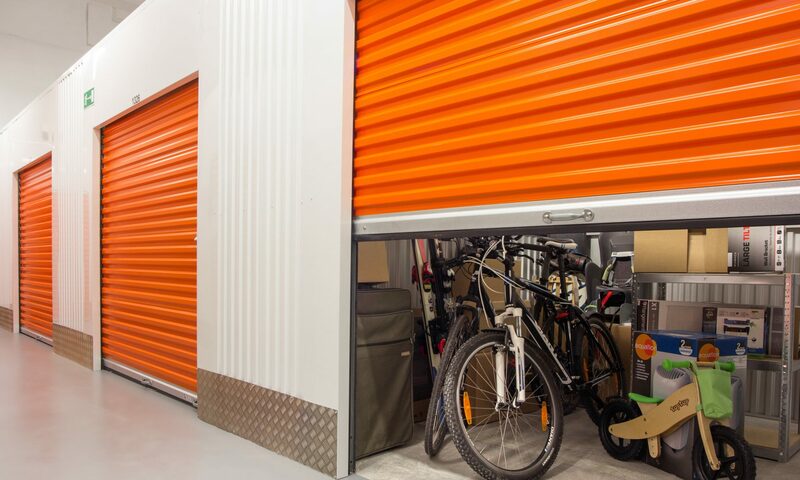 When it comes to accessing your property while in storage, there is no difference between what either kind of storage service allows. The accessibility timings are dependent on company policies, but they mostly keep normal operational hours. Although, some firms might require you to give prior notice so that they can have your unit transported to the access bay. However, there are certain limitations to hiring this service. In order to have a storage unit delivered to your address, you must have a driveway or lawn where you can place it until you are done packing the unit. This is not a feasible option for someone who is living in an apartment. If you don’t have much to load then it could be possible to arrange for the company to collect the unit the same day, as they deliver, but you still have to arrange to have it parked somewhere for a few hours at least. Getting permits from councils for placing these containers on the side walk can be a bit of a hassle. Some mobile storage facilities might not offer you options in size, which means that you might end up paying for space that you won’t use or overstuff the small unit they send you. This is why you have to ensure whether it would make sense to hire one big unit or two smaller ones. Also, weather and traffic crisis might affect the availability of the service as well. Winter is here and you are still wondering what to do with the items that you don’t need in the colder period? From surfboards to tents and barbeques, you surely need to keep your items well stored. There are few tips to preserve your belongings until the next summer. The first thing you need to consider is whether there is an object that can be easily damaged by the cold. Fragile belongings and items that contain liquids or chemicals are more susceptible to the winter conditions. They might freeze and break. The glass can crack when in contact with cold air. Even plastic is not safe, as it becomes very brittle during this period. Therefore insulation should take primary role in the self – storage process. Don’t simply wrap your belongings in paper. Old linens, cloths and even clothes are more efficient. The natural fabrics will preserve a constant temperature, while permitting certain ventilation. The latter is very important if you want to avoid the evolvement of mould. Another benefit of this method is that it will reduce the risk of inadvertent damage. There are items that are difficult to store such as surfboards and paddle boards, because they take space. Storage facilities are ideal for this purpose. Don’t forget to clean and take care of your belongings before putting them away. Remove the dust and rinse them. If you are dealing with furniture, you might consider giving it a good polish. Make sure the stuff is dry, before wrapping and putting in the storage facility. Otherwise you will enhance the chance of freezing. If you keep the package of a certain items, it is better to keep it there. If any repairs are needed, now is the right time. Take care of any damages before placing anything to the storage. When the winter period ends, your items will be ready to use. Lawn mower is surely one of the things that you will not use in the winter. This appliance should also go in the storage unit. Don’t forget to empty the gas tank. This applies for the household engine equipment that you don’t plan to use during the colder period. The reason behind this necessity is ethanol that can be found in the gas nowadays. The chemical will eat up the carburettor. In the end, you will need to spend extra money for repairing or a new device. Oxidation is also not unusual for this time of the year. To prevent it, you should polish the metal surfaces on the furnishing, particularly if they are made of silver, nickel or brass. Plastic sheeting and shrink wrap are the most appropriate way to protect them from the environmental conditions. Precious metals like gold and silver should be kept away from the cold air. A storage facility with controlled climate conditions is ideal for keeping expensive and valuable items. Pick a unit that is insulated because it will require less energy to maintain the needed indoors conditions. It will also serve as a barrier from the moist.